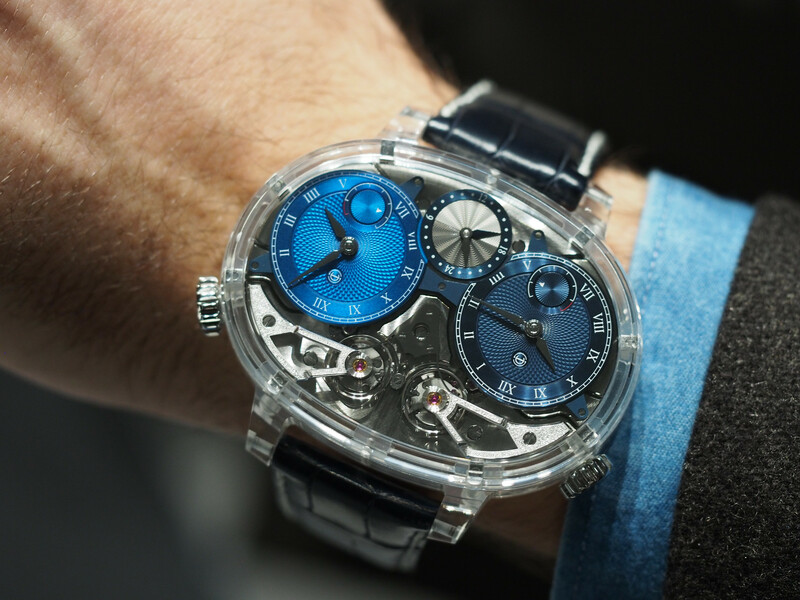 Ahead of the Salon International de la Haute Horlogerie (SIHH), which begins next Monday, Jaeger-LeCoultre has revealed their newest edition of the Hybris Mechanica, a collection that started in 2003. 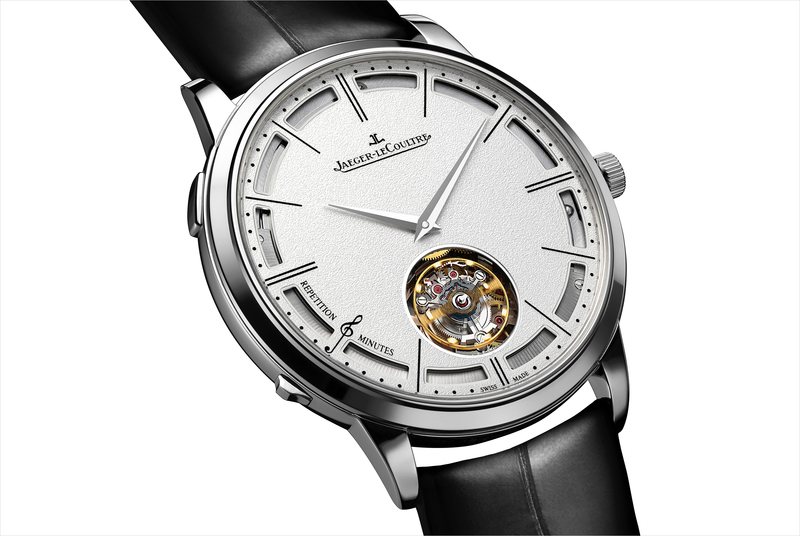 The Jaeger-LeCoultre Master Ultra Thin Minute Repeater Flying Tourbillon (or “Hybris Mechanica Eleven”) features a minute repeater and flying tourbillon in a case that is only 7.9 mm thick. 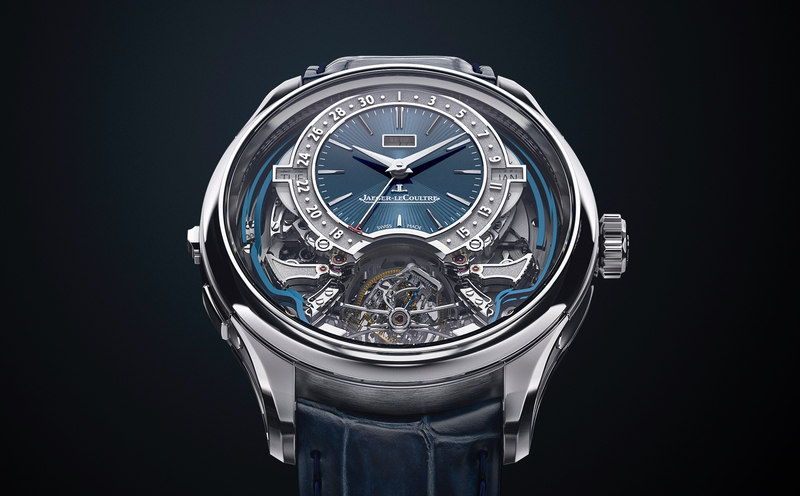 It is powered by Jaeger-LeCoultre caliber 362, which is 4.8 mm thick, runs at 3Hz, has 471 components and a 45-hour power reserve. It is automatic wound via a peripheral oscillating weight. Functions include: hours, minutes, minute repeater equipped with silent-timelapse reduction function. 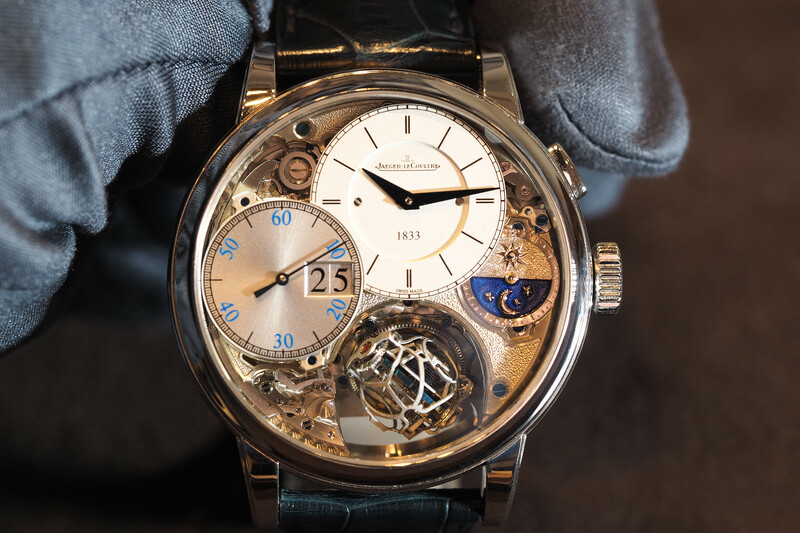 Flying tourbillon with flying balance wheel.